grem - Kansas City, KS What you want "I've used a million tubes, and IRC makes good ones. I had an Artrax heavy duty tube I'd purchased and the rubber on it was very thick, but very soft, and I ended up pinching it while installing, and the pinch was gnarly (worse than it should have been). Rather than try to patch and reinstall, I opted for this superior tube, which I should have done in the first place. 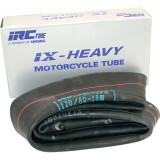 Right out of the box, the rubber felt much tougher, and even if it was slightly less thick, you can just tell that the IRC tube was the real deal. Much easier install and I am just not worried about this sucker at all." 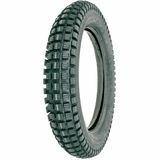 Weezer - Maryland Great Trials tire "This is my 3rd set excellent value, I am just a novice but the tire has excellent traction in the mud and packed dirt highly recommend"